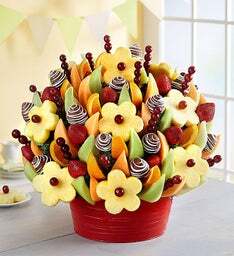 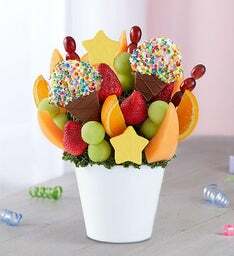 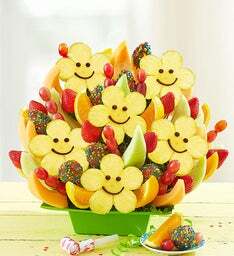 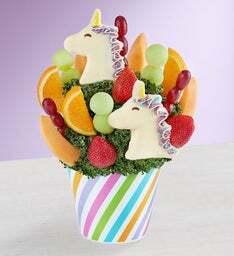 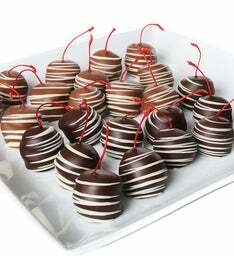 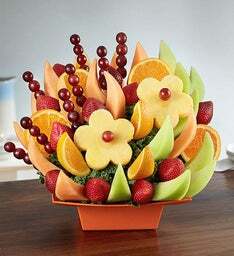 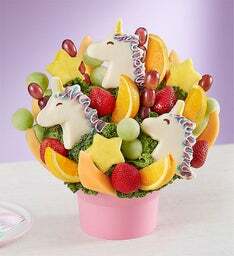 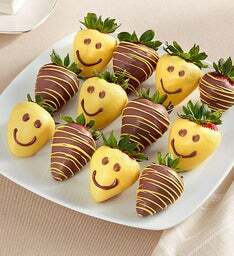 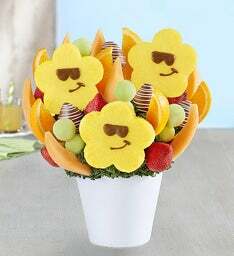 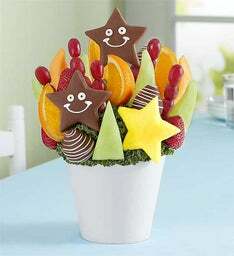 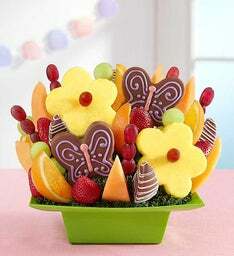 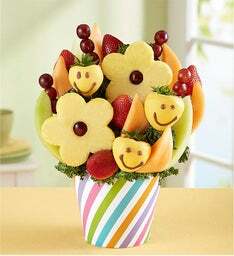 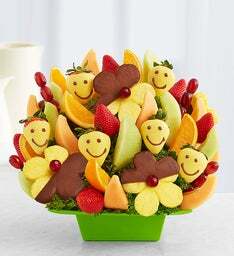 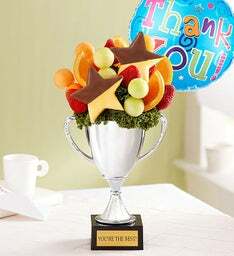 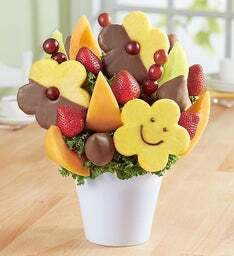 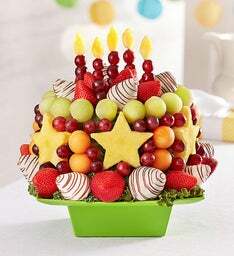 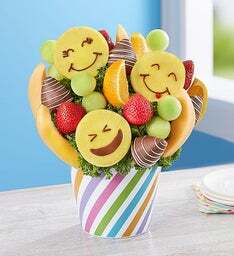 Express your gratitude in a big way with one of our mouthwatering thank you fruit arrangements! 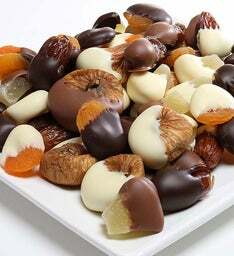 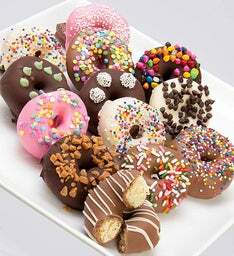 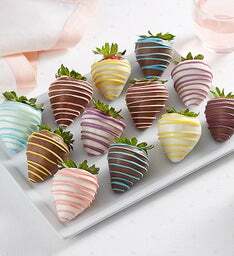 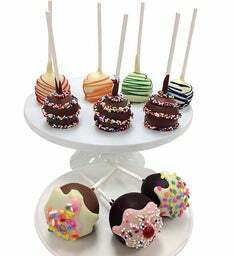 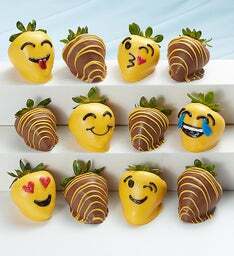 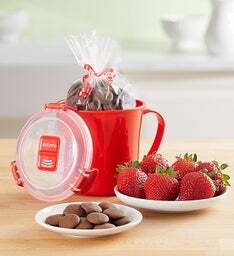 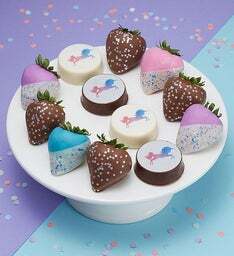 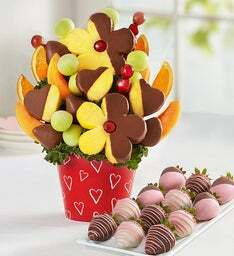 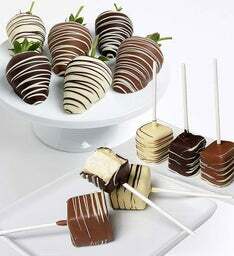 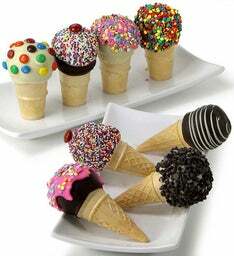 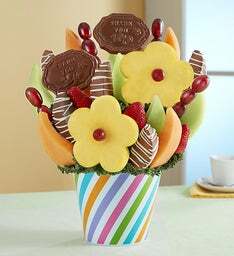 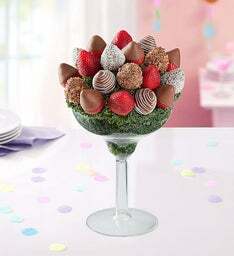 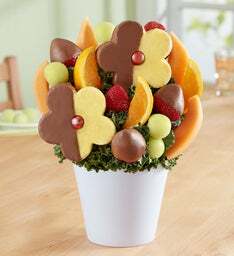 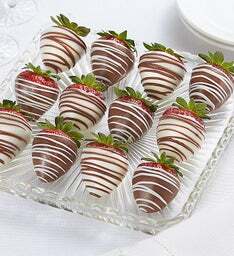 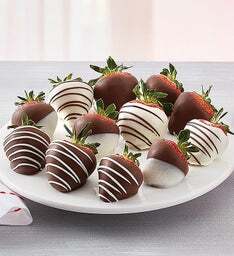 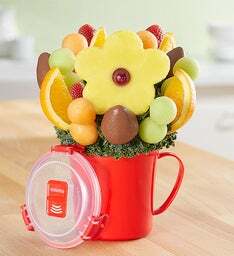 Featuring a variety of fresh fruits, we can't think of a sweeter way to let someone know just how thankful you are. 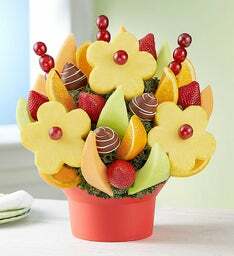 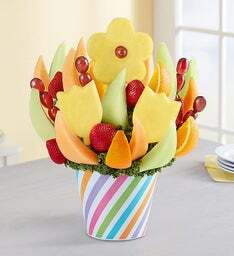 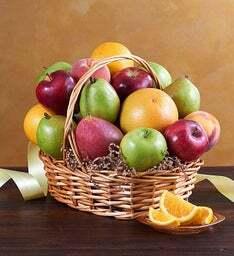 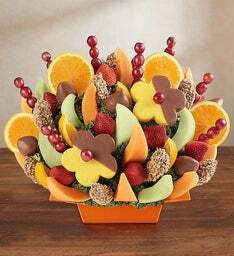 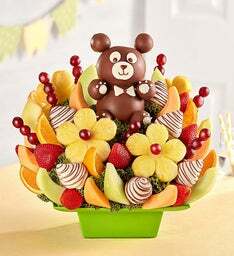 There's no better way to show your sincerest gratitude than by sending a thank you fruit arrangement handcrafted with love by FruitBouquets.com! 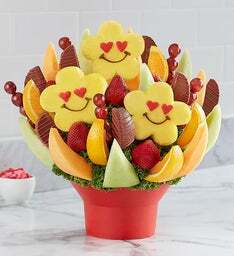 When someone goes out of their way to do something extraordinary, sending thank you fruit arrangements with festive balloons and pineapple shaped flowers dipped in chocolaty goodness, is a thoughtful way to return the favor. 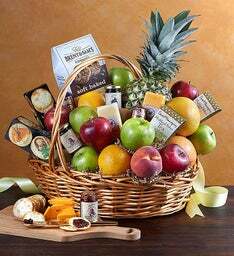 Our thank you fruit baskets also make the sweetest way to say congratulations for everyone's great accomplishments. 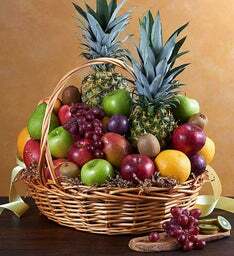 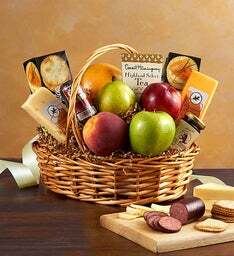 Our thank you fruit baskets & arrangements make the perfect corporate gifts to send to everyone in the office. 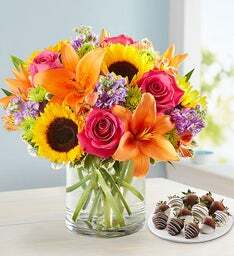 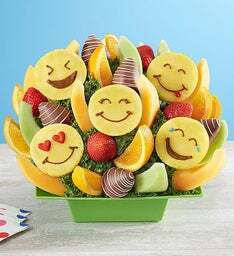 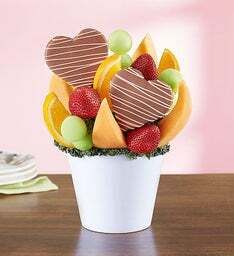 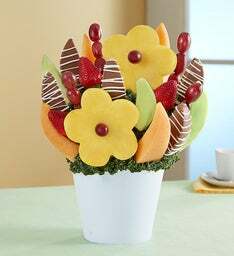 Let them know that their hard work and dedication is appreciated with a fresh and fruity arrangement filled with mouthwatering orange slices, grapes and melons.